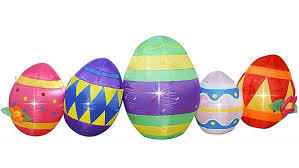 Join New Beginnings UMC (2975 Cobb Pkwy., Kennesaw, GA) on Sat., April 20, 1 – 3pm, for an Easter Eggstravaganza. This free event is open to the public and includes egg hunts (Ages Infant – Gr. 5), food sales, games, face-painting, and picture-taking.